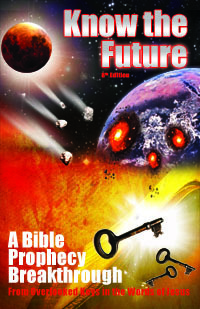 The scariest prophecy in the Bible? Easy: Jesus’ prediction that he will tell “many” sincere believers at the rapture basically to “get lost” instead of welcoming them into the Kingdom. So who are they and what did they miss or do wrong? Find those answers and the one requirement for salvation Jesus taught (that Christianity does not, or you would already have these answers) so that you can make sure you don’t hear these dreaded words yourself! Is Christianity proclaiming the same gospel Jesus did, the “good news of the kingdom,” fulfilling the only precursor sign of the end that Jesus gave (Mt 24:14)? Christians assume so, but when pressed can’t even explain what the kingdom of God is. (It’s not “within you” or Heaven). Discover what the kingdom of God is, what its good news is mainly about (it’s not Jesus’ death! ), and how to recognize it when this earliest sign of the end happens so you know when the good times are ending.